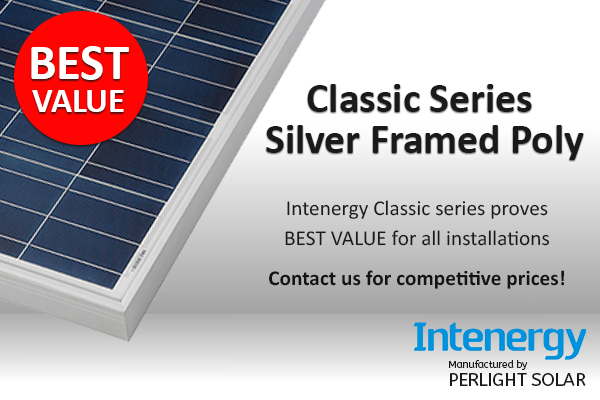 Intenergy’s great value Poly available in 265W and 250W are both ideal for any installation but with a competitive price are excellent choice for commercial projects. Solarvis Energy are proud to supply and stock the Poly range, and with large stocks held in here the UK, short lead times are no problem. Call the team today on 01293 843400 to get a quote and place your order! © Copyright 2016 Solarvis Ltd. All Rights Reserved.